All at 6's and 7's...and 8's! 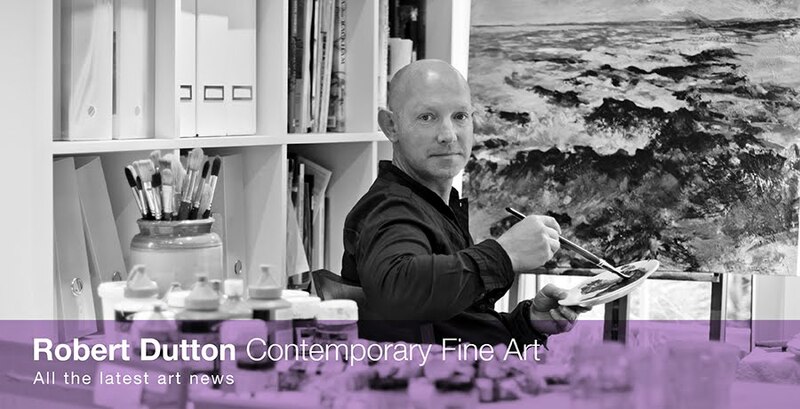 Apologies...I've let things slip haven't I! I've not been letting you know about recent editions of 'The Artist' magazine featuring my focus on colours with everything that is going on within my ' whirling dervish' art world at the moment! 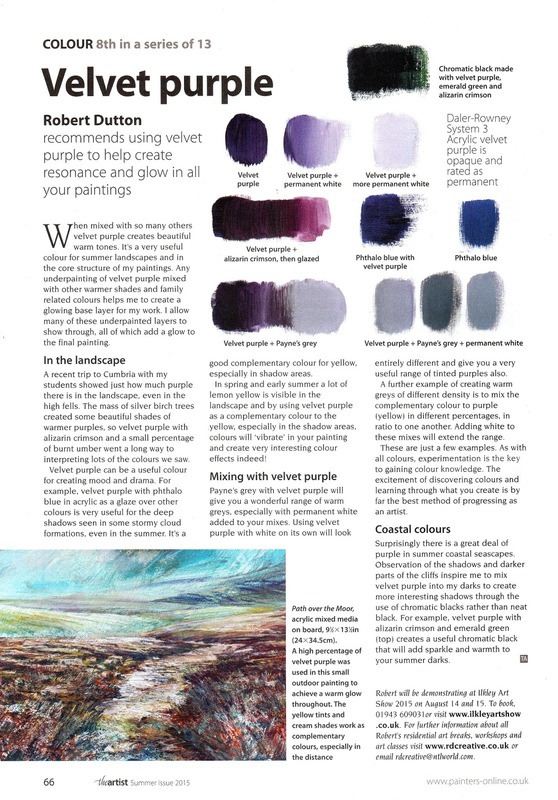 So, here is your catch up on colours from my series of colours within 'The Artist' magazine with number 6 (Cadmium Yellow), number 7 (Viridian Green) and the most recent publication with number 8 ' Velvet Purple' published in 'Summer issue 15 of 'The Artist' magazine out now. 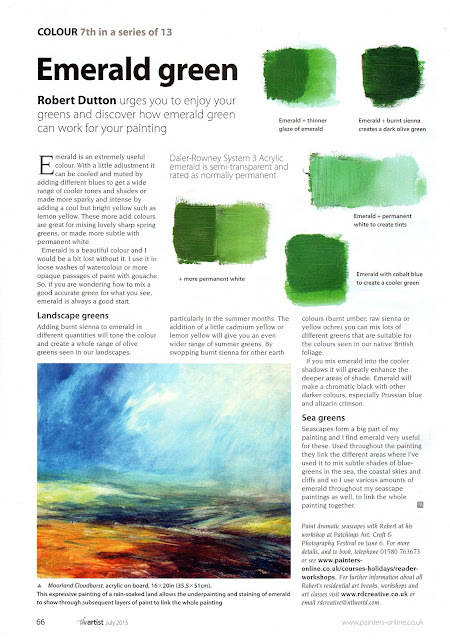 Within Summer Issue 15 it's great to see other of my articles featured also - 'Summer's challenge' were I explain how to simplify things in a creative way to deal with all that complex detail the summer often presents us with, especially when painting outdoors, which I often love to do! 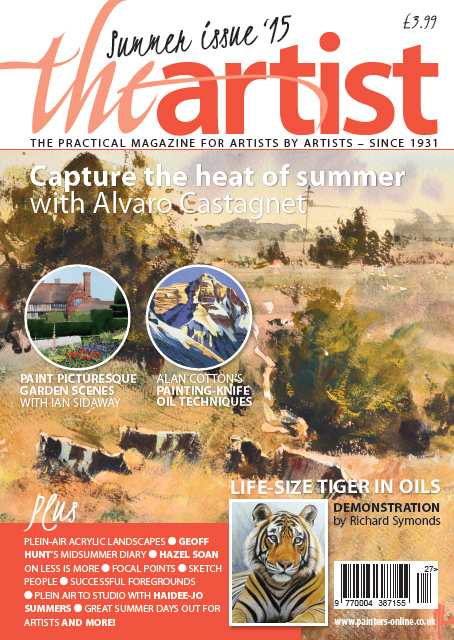 'The Artist' is a great magazine and this month, once again in so many different ways, the 66 well designed, interesting and exciting pages are packed full of other great features, arty facts, art news...and so, so much more! Once again 'The Artist' team have pulled out the stops to give you all the very best of what is a truly a great 'art hub' with all this current creative information. 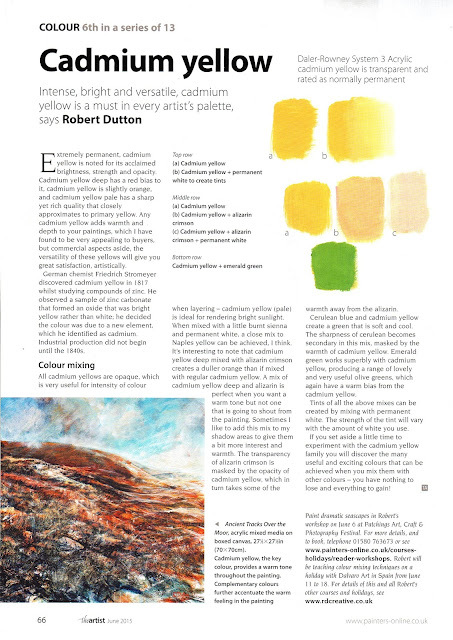 I'm really proud to regularly contribute to this outstanding magazine! Enjoy your latest copy...and your colours too!